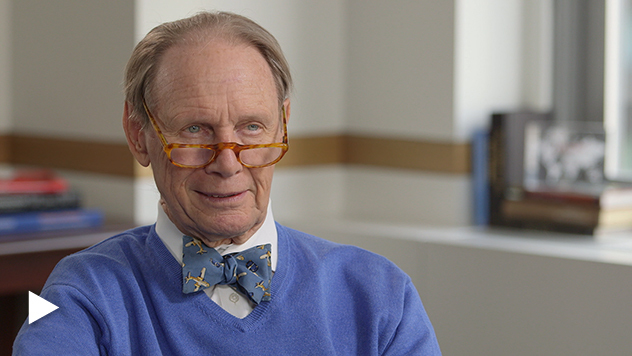 Chuck Royce explains how he managed Royce’s high-quality approach during the decline and where he is finding opportunities in the current market. We added to Medidata, which is a service company, a software company in the clinical trial space that has a great record. There had been some mild concerns about growth, and we took advantage of that. We also added to Manhattan Associates, which is a company helping retailers solve the Amazon problem. Coherent. Coherent is a market leader in display technologies. We’re all familiar with displays in our mobile phone, in TVs and everything. They have been a market leader. They are in high margins. This is a wonderful company that we’ve owned in other accounts for some time, and we think the timing is excellent. We’re taking advantage of the sort of disappointments at the moment as to where they are in their normal cyclical process. Lasers are growing at a very high rate in many, many areas and some of the areas that they serve. Perhaps we’ll have a double total addressable market in the next three or four years. LCI is a fantastic company in the component space in the RV industry in the mobile world, mobile home world. They have acquired many, many smaller companies. They have maintained very high returns on investment, and it is I think almost an ideal way to play this evolving leisure activity. Company examples are for illustrative purposes only. This does not constitute a recommendation to buy or sell any stock. There can be no assurance that the securities mentioned in this piece will be included in any Fund’s portfolio in the future.